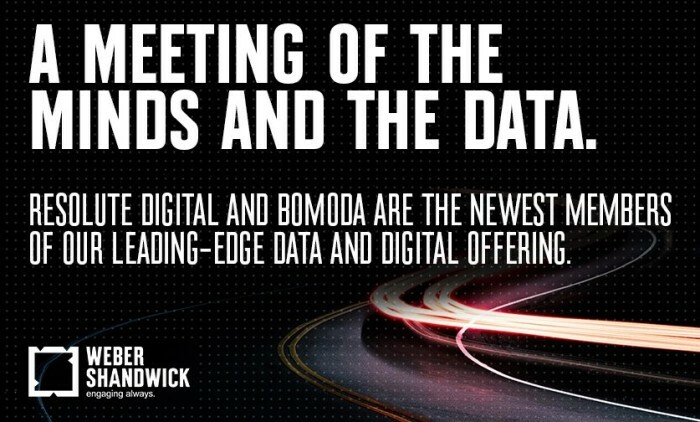 IPG’s Weber Shandwick has announced its acquisition of data science and business intelligence firm Bomoda and digital marketing and technology company Resolute Digital. Terms of the deal, which expands Weber Shandwick’s data science, analytics and measurement capabilities, were not disclosed. The acquisition will see a combination of Weber Shandwick’s expertise in public relations, earned engagement and integrated marketing with Bomoda’s analytics and proprietary technology that place data at the center of marketing strategies for clients in China. Headquartered in New York, Bomoda leverages consumer behaviour data collected and analysed from China’s largest mobile and social platforms, it provides strategic counsel and data-driven insights to brands and companies in China. “This acquisition accelerates and scales our capabilities in analytics, which are key to our ability to deliver on client needs in China and the region,” said Darren Burns, president of China, and chair, creativity and innovation of APAC at Weber Shandwick. “We’re proud of Bomoda’s success in helping global brands better understand what drives consumer behaviour and purchase decisions in the China market. With Weber Shandwick, we’ll continue to innovate together and combine data science, technology and human curation to develop new approaches and technologies that unlock important insights for businesses in markets all around the world,” said Brian Buchwald, CEO of Bomoda. Concurrently, Weber Shandwick also announced the acquisition of Resolute Digital with expertise in audience intelligence, performance marketing, website analytics, mobile and web design. Also headquartered in New York, its data-first approach to audience intelligence, customer acquisition and brand engagement has delivered digital, mobile and paid media solutions for companies and brands. “We continue to develop partnerships, build platforms and utilise proprietary technology to help us mine data and gather insights that lead to the right audience engagement and, ultimately, business results for our clients. Bomoda and Resolute Digital are important additions to help deliver on this agenda for clients and continue to lead in the marketplace,” said Chris Perry, chief digital officer of Weber Shandwick. The ‘Share a Coke' campaign has arrived in Singapore and it includes an interactive showcase on Clear Channel’s out-of-home medium..